Living room. Lots of seating room and a bean bag chair. 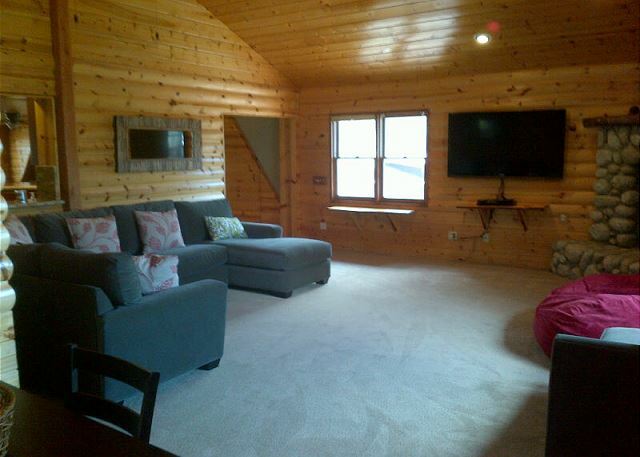 Living room has large flatscreen and rock fireplace. Rock fireplace and flat-screen tv in living room. 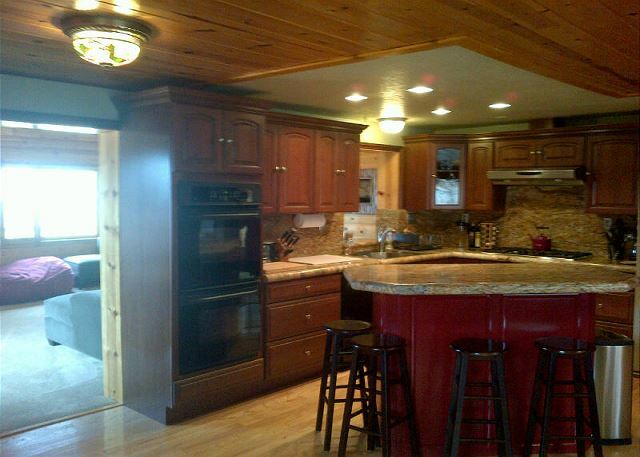 Kitchen with plenty of counter space and all the essentials. View of dining area from kitchen. 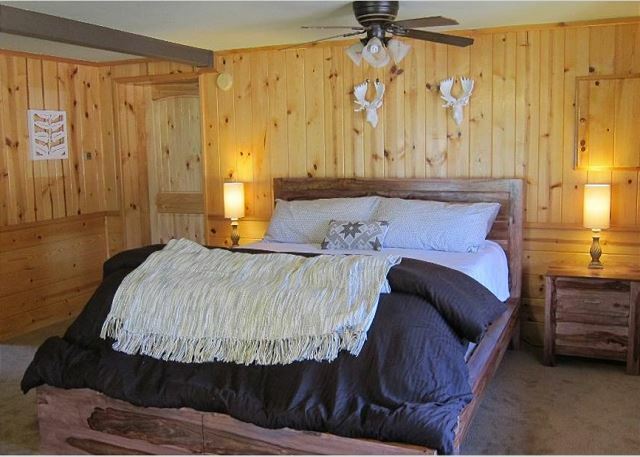 Master bed with king sized bed. Bedroom with french doors, stove fireplace, desk and flatscreen tv. 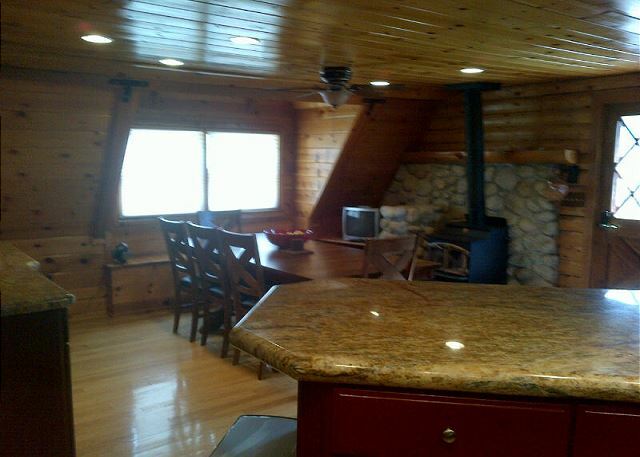 This 4 bedroom 2 bathroom luxurious 2400 square foot log cabin is a great place to getaway and relax. 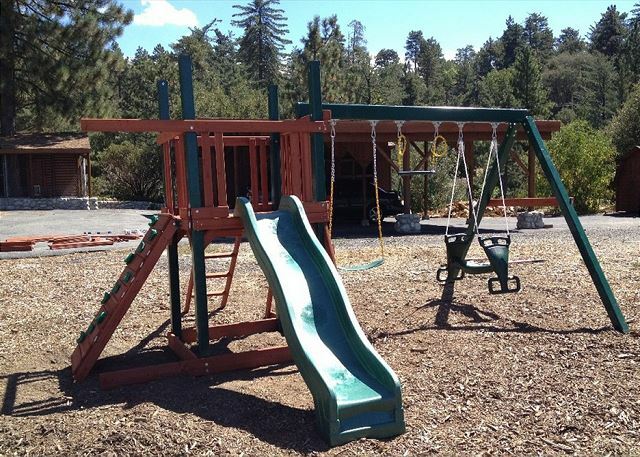 This beautifully refurnished cabin boasts a 6 car covered carport, an outdoor playhouse and playground for the kids and sits on 4.5 acres of beautiful land with spectacular views. 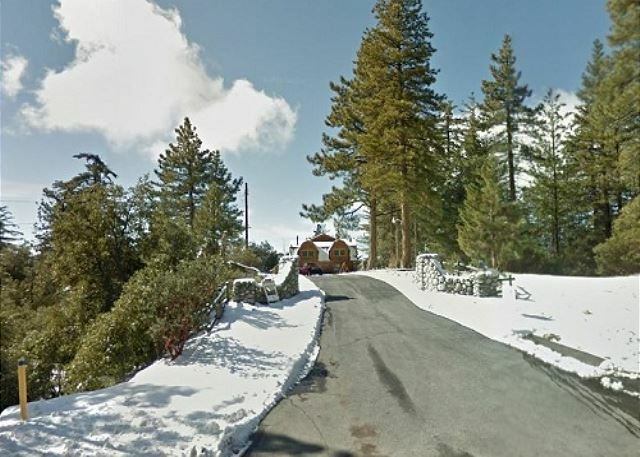 There is a private little hiking trail on the property, which also serves as on-site sledding in the winter months. 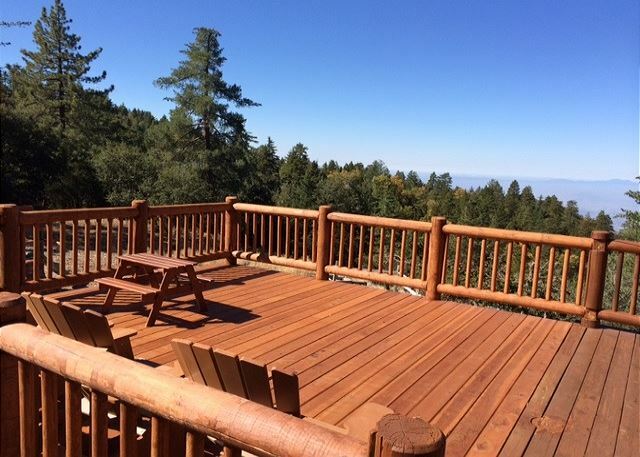 There is also a wrap around deck to enjoy the views as well as an outdoor fire pit. We offer free wireless Internet access, as well as free access to a huge digital library of movies and Netflix. 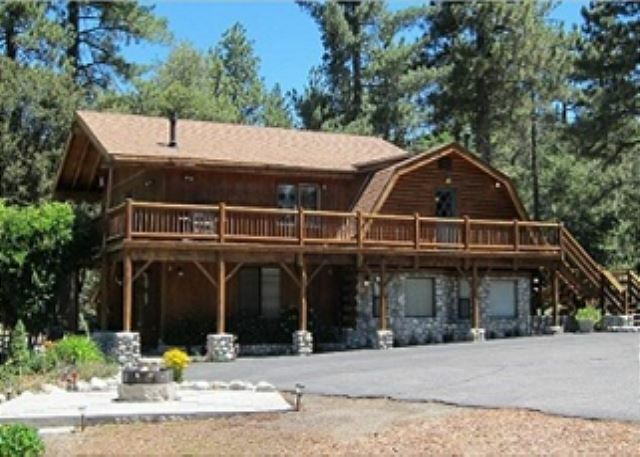 The property has easy access in snowy conditions and is just a 5-minute drive to many fine restaurants, shopping, and activities in downtown Idyllwild. Weekend rate Friday/Saturday is $395.00 p/night. Weekday rate Sunday thru Thursday is $375.00 p/night. 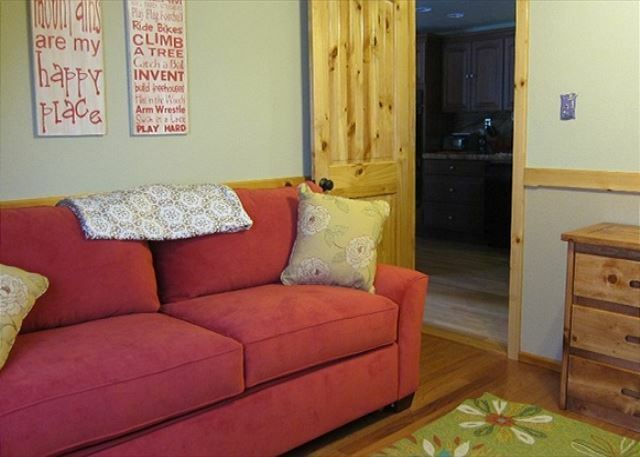 Winter Holiday rate $600.00 p/night (Thanksgiving, Christmas and for New Year's, with a 4 night minimum). 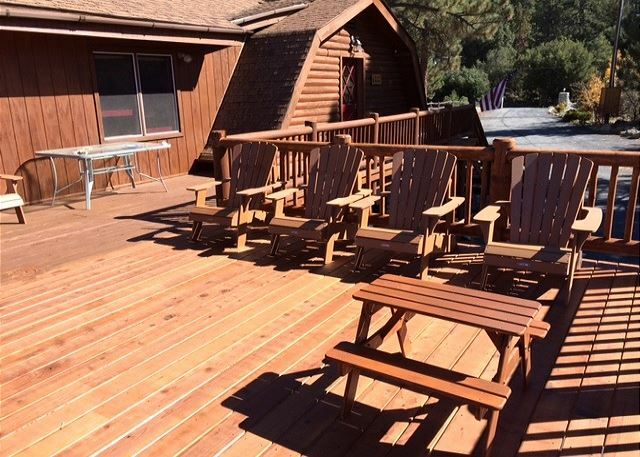 Holiday rate $500.00 p/night, a 3 day minimum may be required. Call us for our weekly/monthly specials. Linen/Prep fee $165.00. 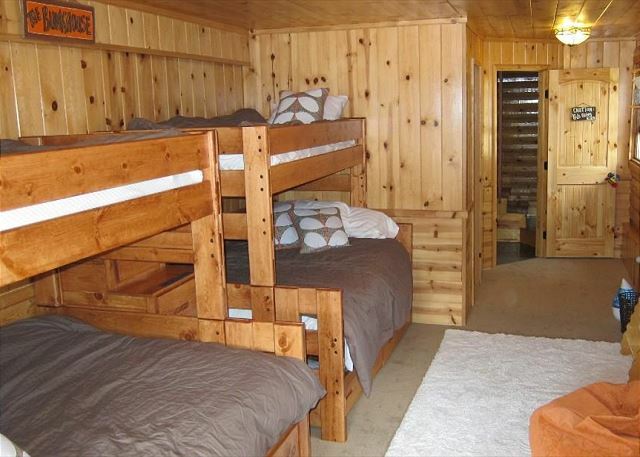 This is the only cabin we have stayed in 2 years in a row! 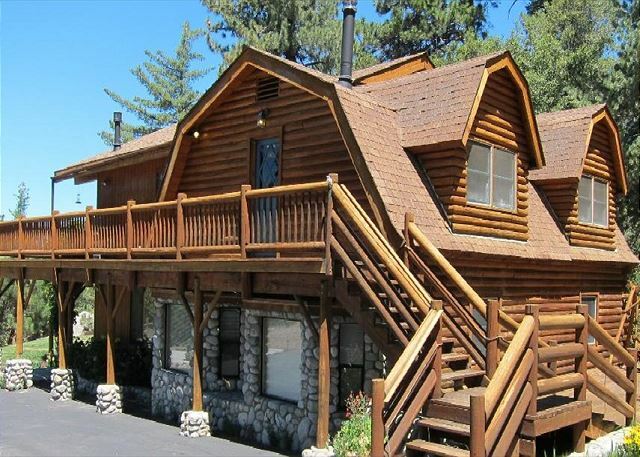 It has been our yearly tradition to rent a cabin in Idyllwild for the family for at least 20 years now. Everyone voted for this cabin again this year. 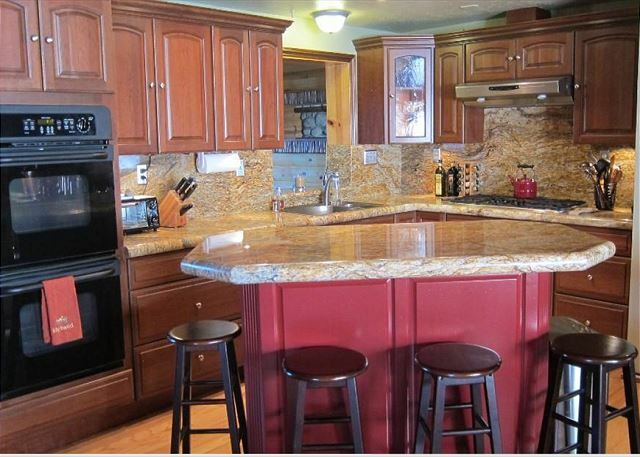 It is such a big property with lots of room to park and play. It is easy to find and yet when you get there, you feel like you are the only ones on the mountain. 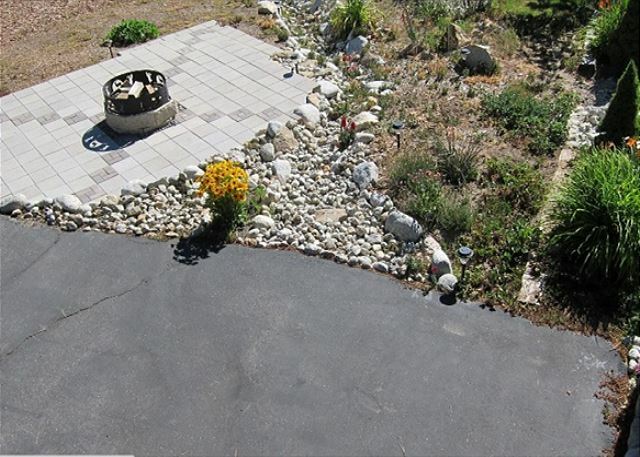 Quiet and restful with sweeping views!